Are you curious about Working at Heights training, who it’s for and what is involved? Many industries and jobs require Working at Heights (WAH) training, especially in the mining, construction and pulp and paper industry. The working at heights training requirements set out in O. Reg. 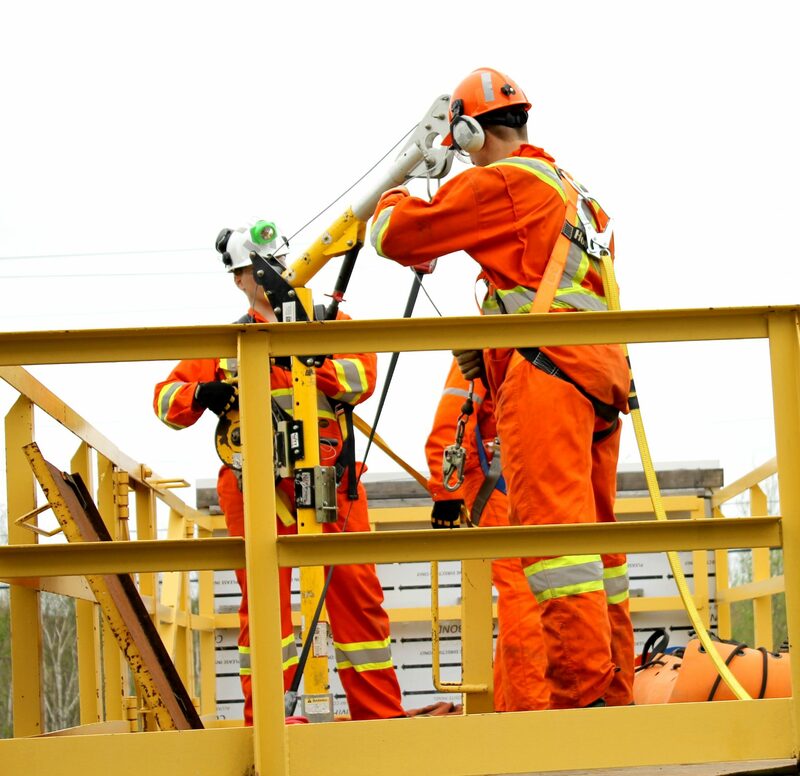 213/91 came into force on April 1, 2015, requiring that employers ensure that workers on construction projects successfully complete a working at heights training program approved by the Chief Prevention Officer (CPO) and delivered by a CPO-approved training provider before they can use a method of fall protection. In this article, we review the FAQ’s of Working at Heights training, details on the Working at Heights refresher course, and the complete guide to Working at Heights training. Here are some commonly asked questions about Working at Heights and the Working at Heights refresher training programs. How long is a Working at Heights certificate valid for? Working at heights training is valid for 3 years from the date of successful completion of a Ministry of Labour- approved program. In order to keep your Working at Heights training certification valid, you need to take a refresher training within 3 years of the date of successfully completing a CPO -approved working at heights program. Is working at heights training mandatory in Ontario? Working At Heights is a mandatory requirement as per the Ministry of Labour in Ontario if you or your workers are working at heights of 3 meters or more. Working At Heights training should only be taken through a Ministry of Labour-approved training provider. The Ministry of Labour provides a complete list of approved training providers here. What is considered working at heights? Working at heights means to work in a place where a person could fall some distance which would be likely to cause personal injury. You are working at height if you work above ground/floor level, could fall from an edge, or could fall through an opening. What are the Ministry of Labour’s requirements for working at heights training? The Occupational Health and Safety Awareness and Training Regulation O Reg. 297/13 requires employers to ensure that workers on construction projects successfully complete a working at heights training program if they may use specified methods of fall protection. The working at heights program must be approved by the Chief Prevention Officer (CPO) and must be delivered by a training provider approved by the CPO. Who is Working at Heights for? Educate workers on the dangers of working at heights and how to avoid hazards and prevent accidents. Promote a safe workplace by identifying the importance of safe working at heights. Teach all workers the proper theory and practical working at heights training. Demonstrate fall protection equipment available. What is involved with the Working at Heights Refresher Training Course? The Working at Heights refresher course involves similar training aspects to the Working at Heights course. Employers need to ensure that workers complete Working at Heights Training and Working at Heights Refresher Courses that have been approved by the Chief Prevention Officer (CPO) and delivered by an approved training provider before they can work at heights. Is there a practical portion involved with Working at Heights training? Absolutely. 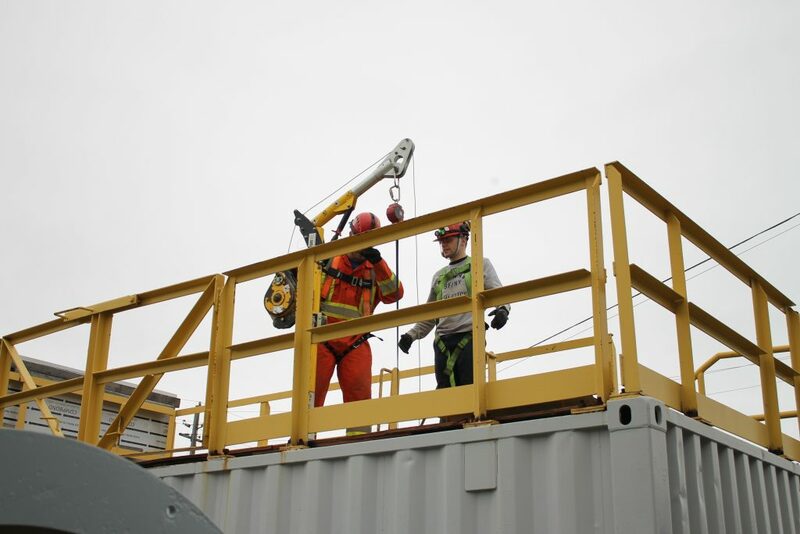 With most working at heights training programs, both a theory (classroom) portion and a practical portion are given in order to provide participants with real-life situations. With practical WAH training, students learn on actual raised work platforms including potential hazards that they might see on a worksite. What is included in the theory portion of Working at Heights training? For more details of a Working at Heights program, or Working at Heights Refresher training program, please contact us today. Great blog, continue the good work! Just wanted to say keep up the excellent job! Thanks so much for leaving a great comment, we appreciate it! Greetings! I’ve been following your web site for a while now and just wanted to mention to keep up the good work! Thanks so much Monica, we appreciate that!